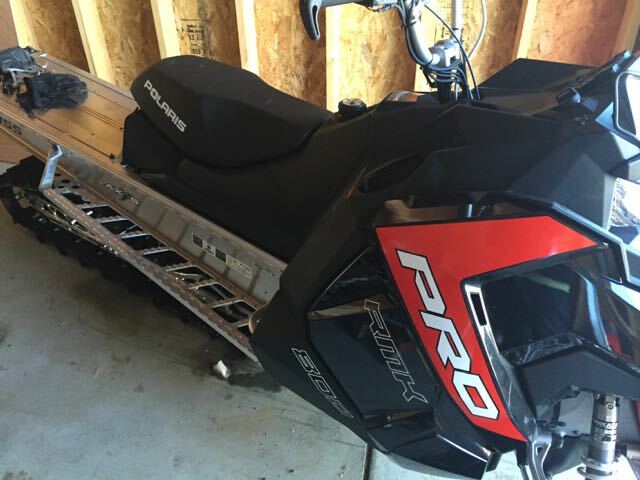 After an unfortunate snowmobiling situation last week I had the opportunity to tear apart the snowmobile and learn a little bit about 2 stroke engines, and also what caused this one to fail. The top end shown below shows both cylinder skirts, you can see the cylinder skirt on the left is missing a substantial piece of the actual skirt. 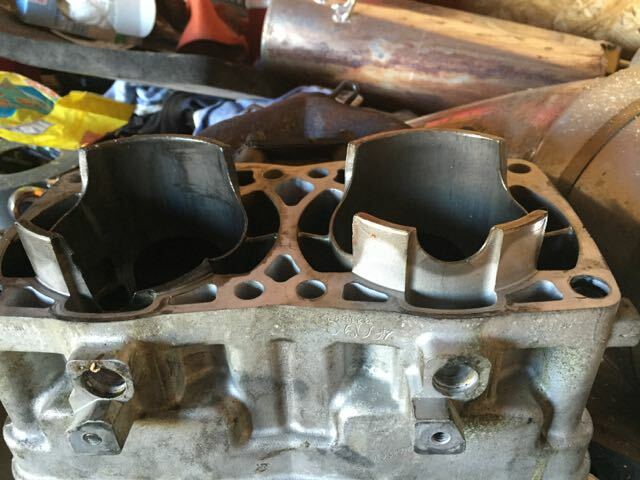 Furthermore you can see that the good cylinder skirt actually has damage that would have caused that engine to fail at some point in the near future as well. Look closely and you can see the fractures starting to run through the metal. 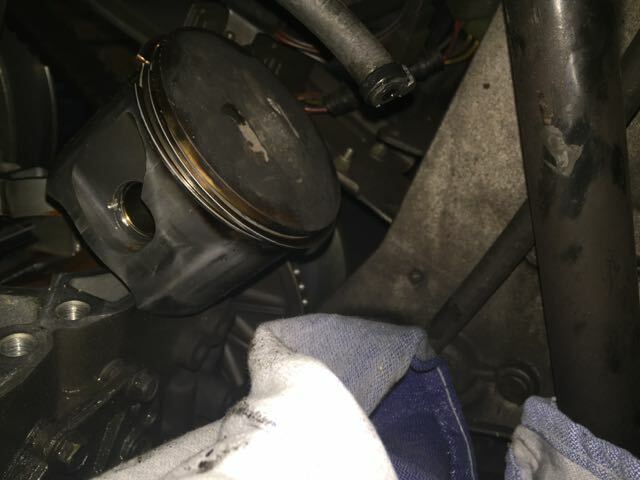 So now that you see that the skirt was broken off you can imagine what that did to the piston on the fatal stroke that that piece of skirt was between it and the cylinder walls… Imagine no more, here is what that looks like. 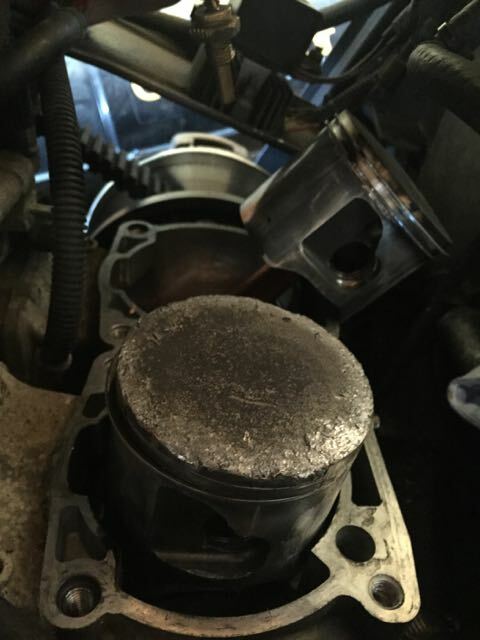 The top of the piston is mangled, it looks like it was dragged behind a truck. 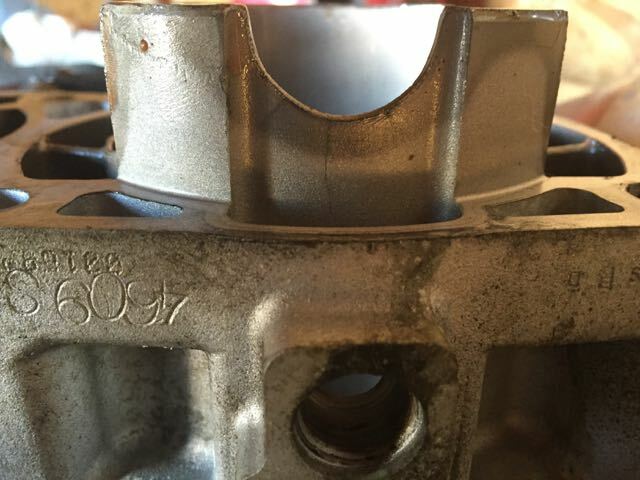 For reference here is the other piston that looks like it is in pretty good shape. The final piece of the puzzle is the dome, which is pictured below. 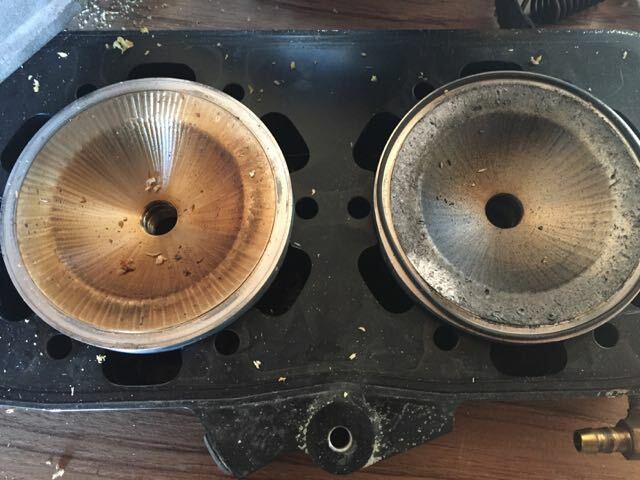 You can see in this picture that the dome on the right has some metal shavings on it and has some discoloration, presumably from debris of the cylinder skirt and the piston destroying whatever was in its way.